This photoshop had me rolling. 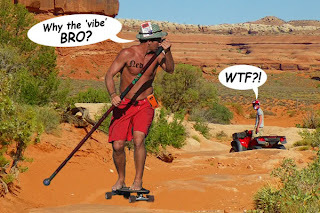 Posted by "gaiasdad "on the Surfermag BB. Both of them are lame ! So what kind of donkey would use a push stick on a skateboard.